Quality pigment that is rich in color volume is an essential element in carrying out successful procedures. With Designer Series' pigments, you can choose from 51 rich, vivid colors of the highest quality. Each bottle of "Taupe" pigment is heat sealed and tamper-proof and is encoded with its own lot number and expiration date. Reduce the need for touch-ups by using Tri-Lab Products' trusted Designer Series pigment line. 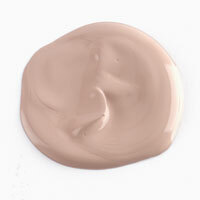 Each bottle of "Taupe" Designer Series pigment is 0.5 ounces. DVD: "Corrective Pigment Camouflage w/ The Coil Machine"
56-minute DVD documenting live Corrective Pigment Camouflage procedures conducted by Susan Church. 8-Prong Needle for the Sapphire Elite, PRO or Sapphire 2000 Machine. Order packages of 10 or 50 needles.